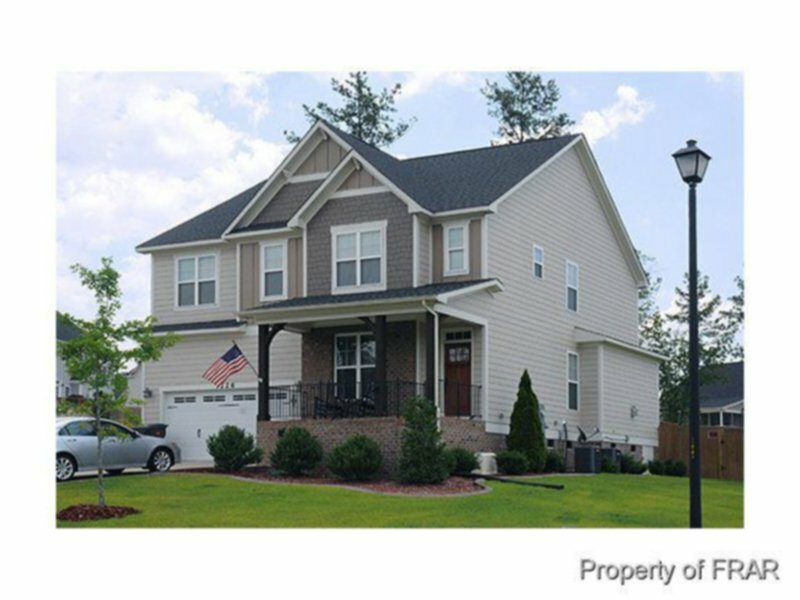 Meticulously maintained 4 bed / 2.5 bath home with 2497 sq. ft. in the lake neighborhood of Mariners Point in the Jack Britt school district. This home has stunning real hardwood floors, granite countertops, stainless steel appliances, double ovens, built-in surround sound, beautiful gas fireplace, and security system. Large master bedroom with 2 walk-in closets, master bath with jetted tub and tile shower. 2 car garage with overhead storage and front / back yard irrigation system. Screened-in porch opens up to an entertainers paradise with stained deck and pavers to a large fire pit area. Big back yard includes playset for the kids. Pets allowed with owner approval. Available move-in date of JUNE 15! This home wont last long at this price. Schools: Stoney Point Elementary, John Griffin Middle, Jack Britt High Utilities: Aqua; Lumbee River; See more of our listings at http://cornerstonerentalsnc.net!